The other outfits can mooo-ve over as this cow baby all in one romper is going to cause EXTREME amounts of cuteness! 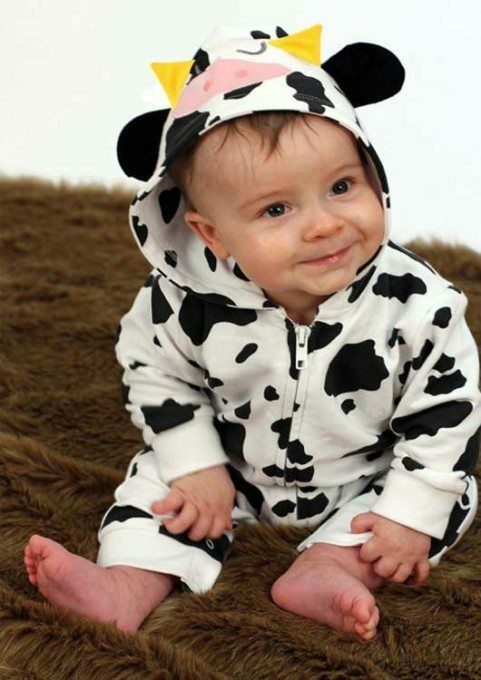 Funky footless cute cow baby romper all in one outfit. 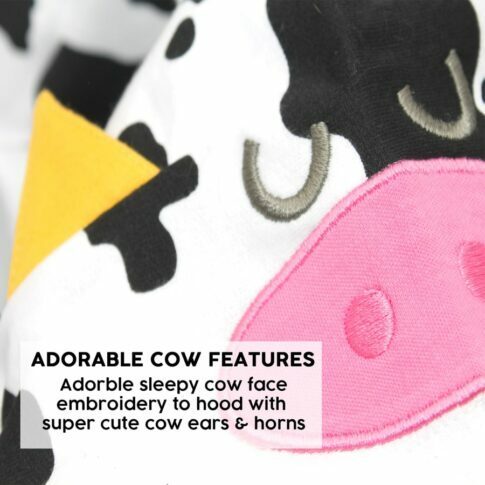 Hood with cute novelty ears & adorable little cow horns. 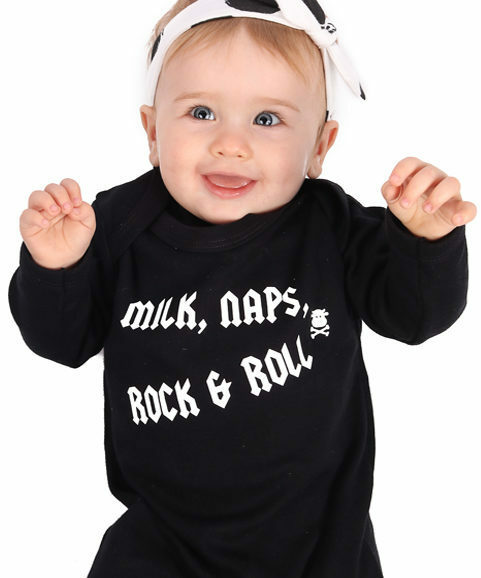 Embroidered sleepy eyes & applique nose to romper hood, which is bound to raise a few smiles. 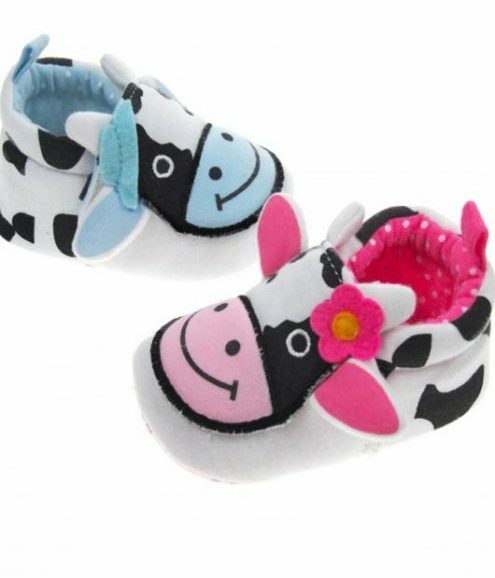 Sturdy poppers to inner legs & a zipper to front, make changing baby easy. 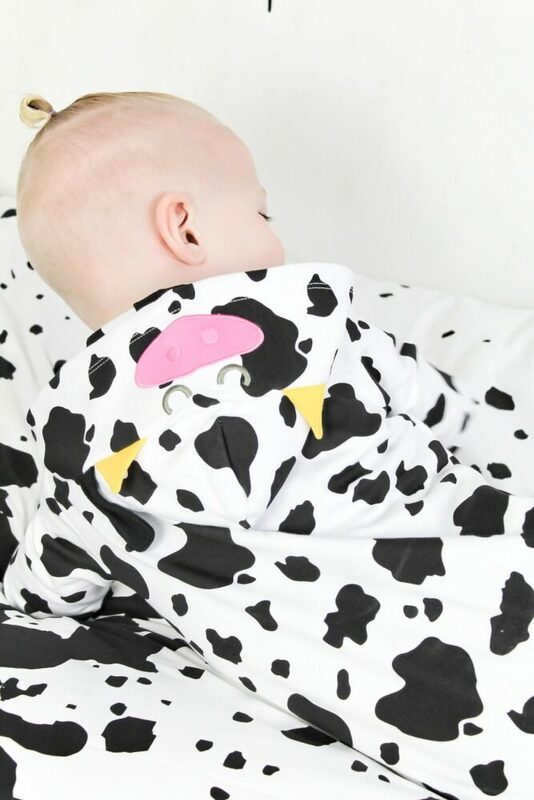 Perfect cow baby onesie for baby boys or baby girls. 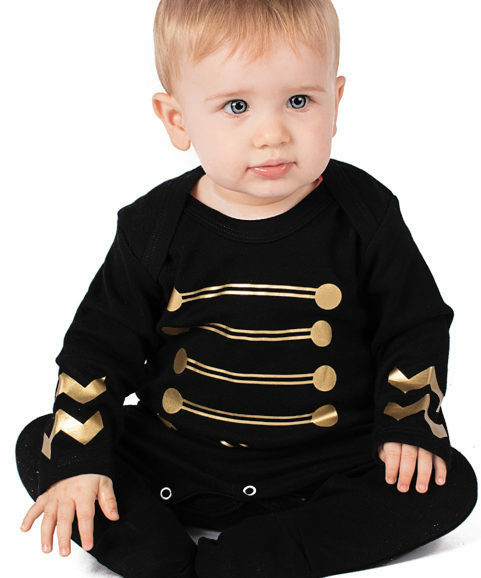 Baby & toddler sizes 0-3 months, 3-6 months, 6-12 months, 1-2 years. 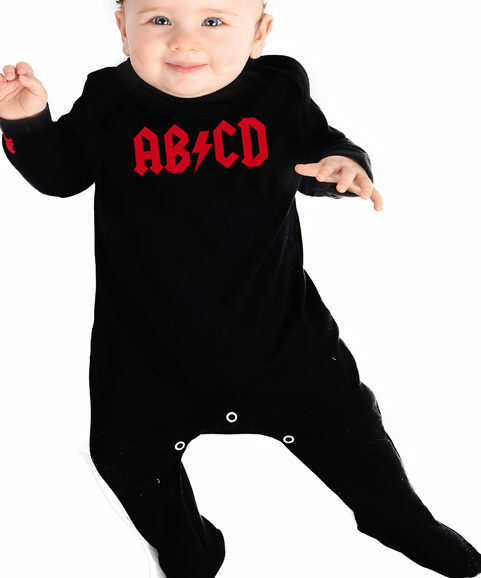 Very cute, my daughter looks adorable in it! Only downside is that it comes up a bit small. She has just turned 6 months and I have put her in it today and it fits where it touches already so won’t last long, which is a shame. She’s not big for her age. We got one of these cow baby onesies as a gift, and oh my! It’s soooooo cute! 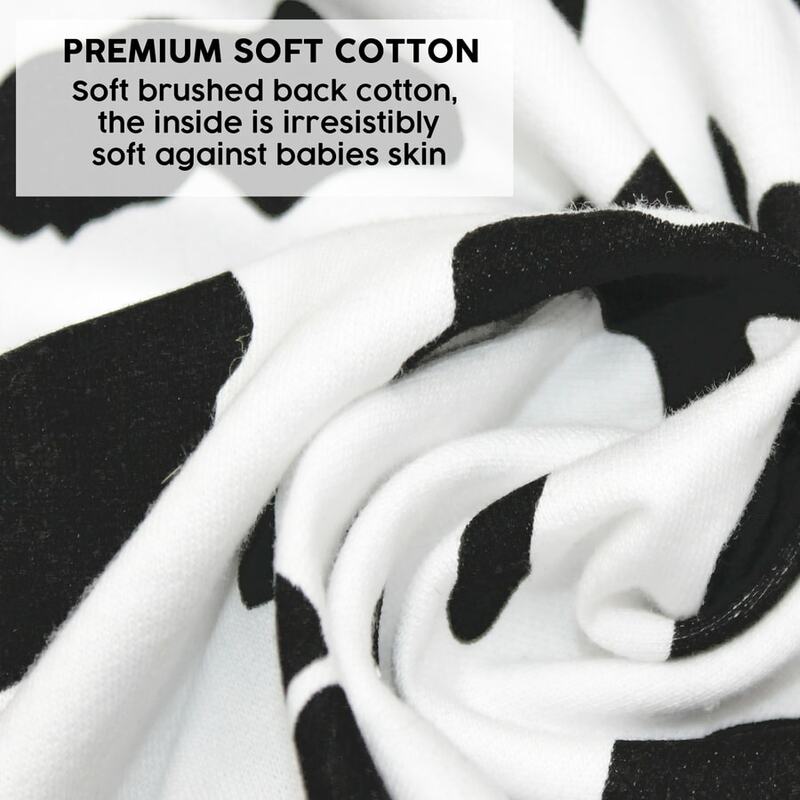 The materials soft & lush & the ears, face the cutest thing ever! 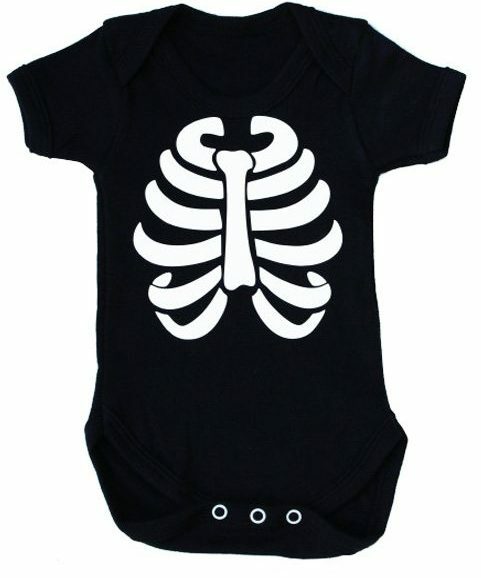 This is one of the best baby outfits i have bought my son, unfortunately he’s still a little on the small side to wear it, but it’s going to be an amazing surprise to all the family when he appears in this. Can you make more animals please?!?!? !